Get ready for your senses to go into overdrive with this incredibly dark and opulent wedding inspiration by Icon Pictures Photography in Melbourne and The Country Garden Florist. The colour palette of plum, burgundy, deep red and purples is absolutely delicious. Portrayed beautifully in the stunning florals, immense table scape, cake and fashion. Plus I absolutely adore the rich gold and iridescent accents, and all the texture making up the incredible setups. The lovely Anstey Hall in Cambridge is an utterly timeless venue, lending its self effortlessly to this classic and contemporary theme. So Pinning fingers at the ready… Enjoy! 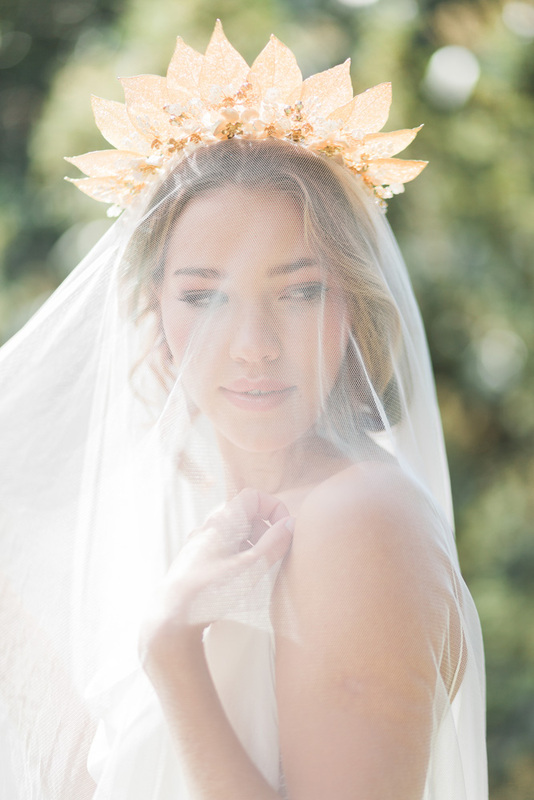 There’s nothing we love more than a bride rocking an awesome accessory. Whether it’s a statement cuff, a gorgeous headpiece or a pair of earrings, when it comes to finishing touches – go hard or go home is our motto. 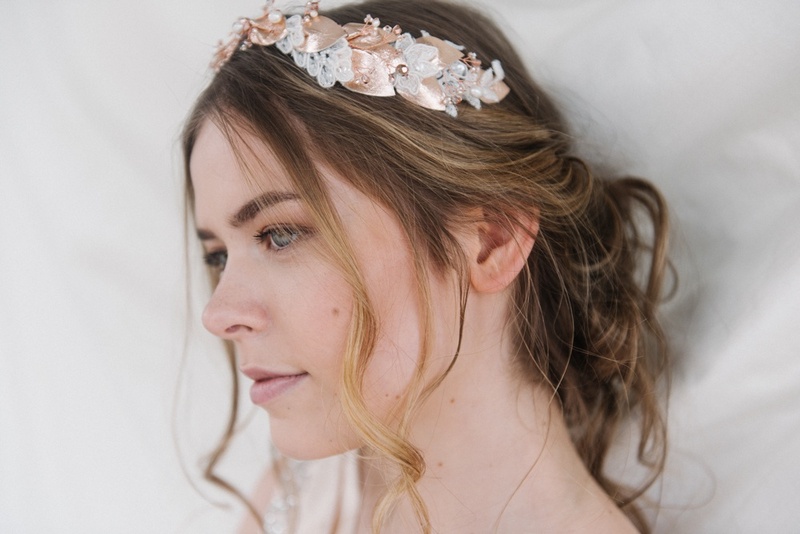 This season’s metal of choice is gold, which I’m thrilled about, as it’s my favourite shiny shade and lends itself perfectly to the soft and romantic world of bridal fashion. 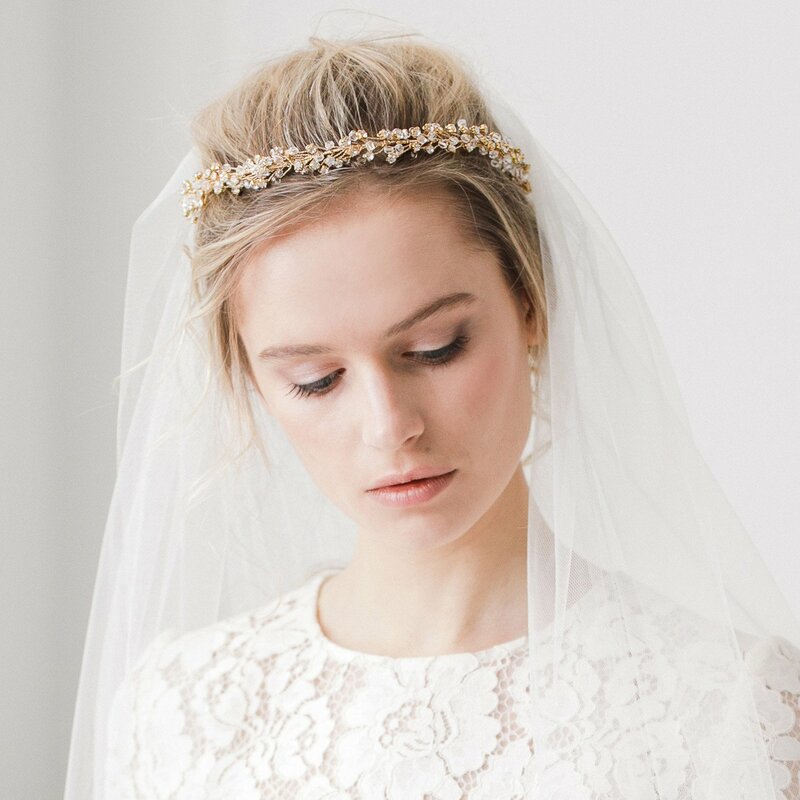 Here’s the RMW edit of the prettiest gold pieces available at the moment for brides…we can’t wait to see some gorgeous RMW brides wearing these! Ending back where we began with Bo & Luca. 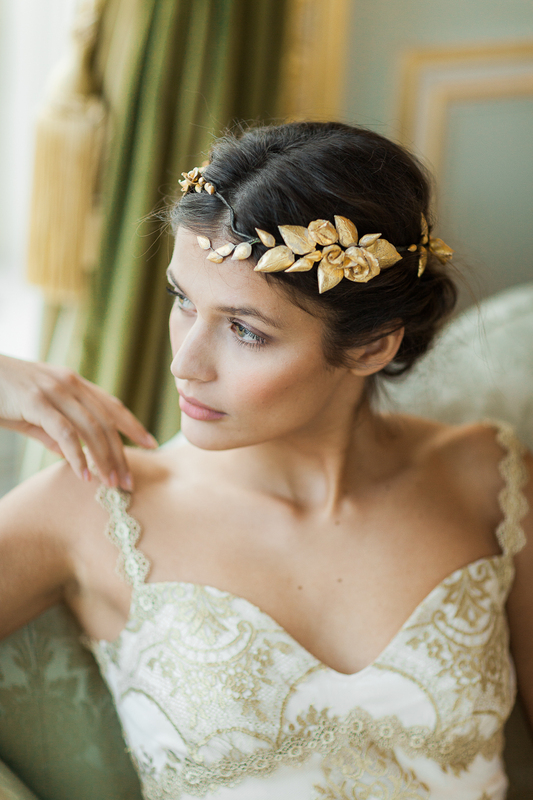 If you’re still here then I think the outcome is clear – you need to order a gold statement accessory for your big day. Why not make it the Eden earrings? 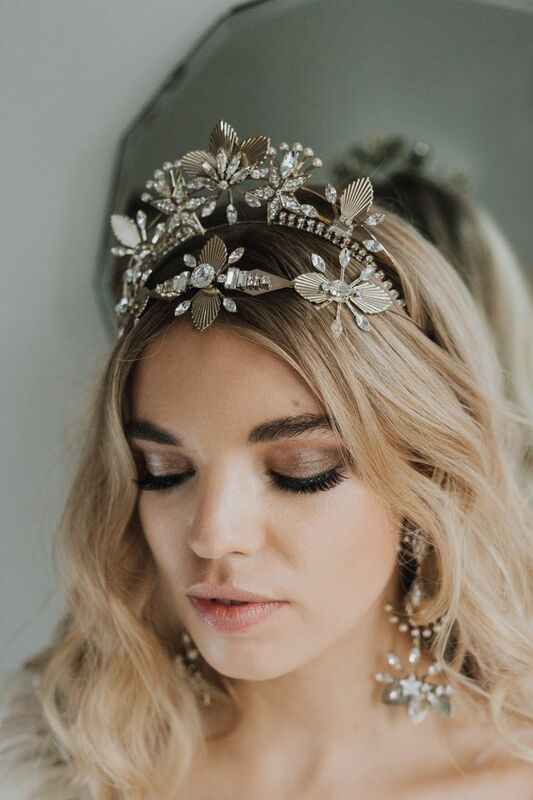 With cascading gold strands and three tiers of off white florals that frame the face, these are the perfect way to finish off your bridal look. And make the perfect addition to countless outfits in the future. If gold and statement is not your thing, then worry not, we have a plethora of excellent accessory designers and retailers on our recommended supplier directory, The List. Browse to your hearts content. Good luck finding those finishing details, we can’t wait to see what you chose!